The best photographs start with proper attention behind the camera before you take them. Jon Tarrant shows you how to achieve this by fully explaining how digital cameras work so you too can achieve professional-looking results without having to resort to image manipulation on a computer. Jon explains all the basics of digital cameras: their anatomy; an outline of broad classes, indicated by price bands and features offered; a comparison with existing families of film cameras as a useful guide to newcomers. He also provides an invaluable buyer's guide pointing out features to look for on a digital camera before you make your purchase. Coverage includes detail on lenses, exposure basics, 'correct' exposure, using flash, the chip and the implications of this 'restriction', image quality and retaining this quality, as well as discussion of the difficulties of digital cameras and sections on specific types of photography with digital cameras. Complete coverage is ensured with information on printing, storage and filing, the Internet as a medium of images, picture software and digital enhancement, always keeping the emphasis on the fact that the most important consideration is how you take the photographs and the vision you had then and knowing when to stop tinkering with your image! 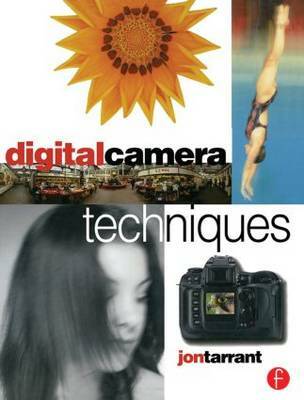 "Digital Camera Techniques lives up to Focal Press's solid reputation of quality photography books." "Tarrant digs into pure digital photography which happens inside the camera. This approach makes a lot of sense, because it reveals the real possibilities that never existed in analog photography. And it uncovers serious drawbacks of pure digital photography. Tarrant puts these problems into a realistic perspective, and presents partial or complete solutions." "Overall this book would appeal to those people relatively new to photography and thinking of turning to digital media. It includes jargon free text and covers all the basics, enabling the reader to absorb and appreciate what I still consider to be, the exciting world of digital photography."